Club Penguin Cheats by Mimo777 Club Penguin Cheats by Mimo777: UK BAFTA Kids' Vote 2013! If you're in the UK you may already know this. 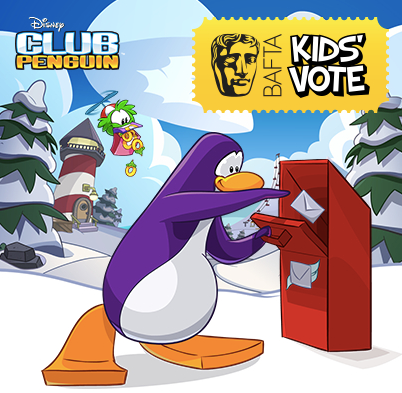 But Club Penguin has been nominated for yet another BAFTA Kids' Vote award for best website! That is so cool! What makes this award legit is that the winner will be voted for by YOU and ME! So if you want to vote for CP (UK players only) click HERE! Voting ends on the 22nd of November, this FRIDAY! Only a few days left to vote! The winner will be announced on the 24th of November! Oh great, another voting thing only UK can do, I love the freedom CP gives us, because NOWHERE ELSE can anybody get things and only UK gets the good stuff, good thing I quit a long time ago since CP is no longer about freedom.